Whimsical - board mounted valance. Pleated ruffle could be removed. 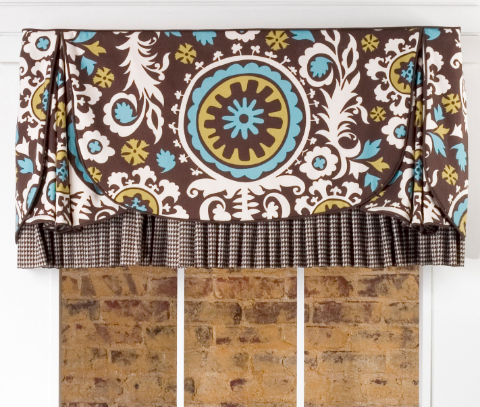 Finished valance width approximately 39.5"
****If your estimated shipping seems high, please let us know.